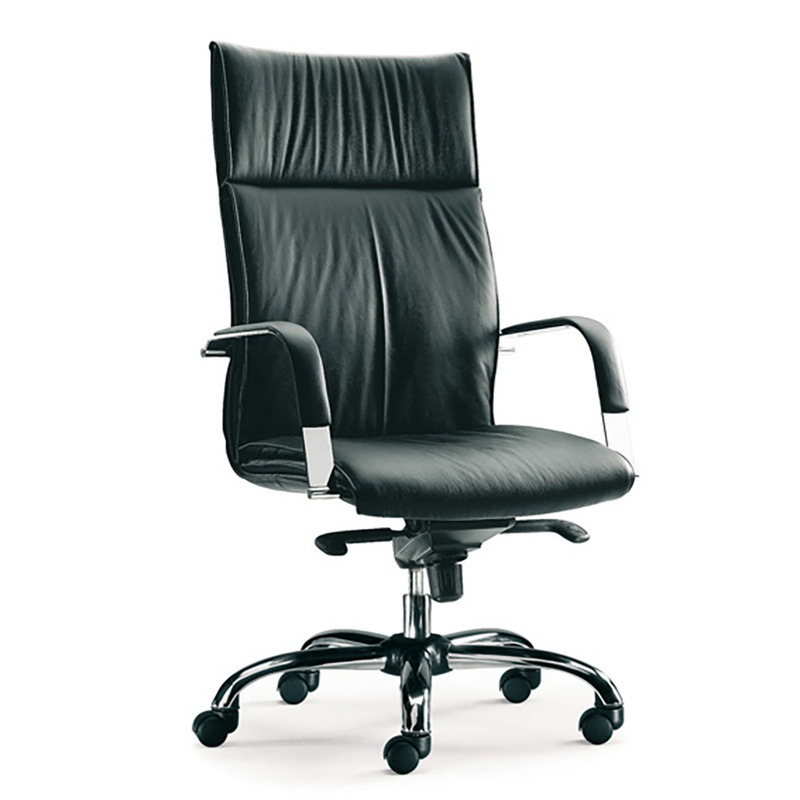 Make an impression with this top of the range executive seating range the Harlequin chair. Choose from high or medium back variations, plus swivel or cantilever styles in leather or fabric options Harlequin chairs have a style to suit all areas from boardroom chairs to Director’s chairs. The Harlequin executive chair has been tested in accordance with British standards and is therefore an effective, regulated executive chair. Fitted with a lower lumbar sculpture this helps support you as you sit at your desk. Furthermore, the synchronised mechanisim is lockabe in five different positions, providing varations to make your position the most comfortable. Also, the integral curved armrests topped with leather pads provide additional comfort for the user.